Jaime is using Smore newsletters to spread the word online. Special Board Meeting - January 6, 2016 - 5:30 p.m.
Ed Services - January 12, 2016 - 7:30 a.m.
Policy Review - January 13, 2016 - 5:30 p.m.
Human Resources - January 18, 2016 - 5:30 p.m.
Board of Education - January 25, 2016 - 6:00 p.m.
Fiscal Mangement - January 27, 2016 - 5:30 p.m.
Educational Services - February 9, 2016 - 7:30 a.m.
Policy Review - February 10, 2016 - 5:30 p.m.
Human Resources - February 15, 2016 - 5:30 p.m.
Fiscal Management - February 17, 2016 - 5:30 p.m.
Board of Education - February 22, 2016 - 5:30 p.m.
As always, please let us know if you cannot attend a meeting . . . Thank You! This is a snapshot of some of the community events and conferences I am scheduled to attend this month. If you are interested in joining me at one of these meetings or events, please let me know – many are open to you. 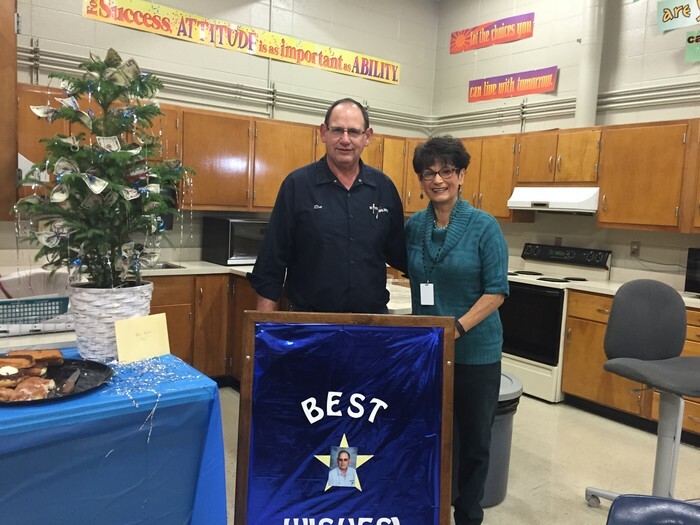 It's retirement time for Ron Degner ---- his last day is Friday, December 18th. Ron has been with the maintenance department for 22 years and most of the time you would have found him in the RMS pool area making sure everything is running smoothly for all our swimmers. Congratulatins Ron and enjoy the next chapter in your life! 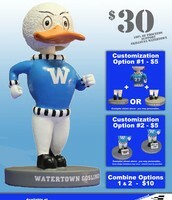 Do you Still Need a Christmas Gift for that Special Someone??? 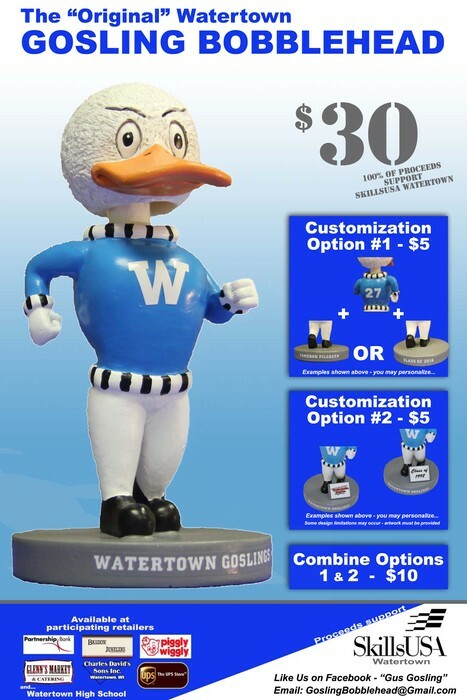 Don't fret the Gosling Bobblehead's are here . . . . they are for sale around town as well as at Watertown High School. Get yours while supplies last!!! 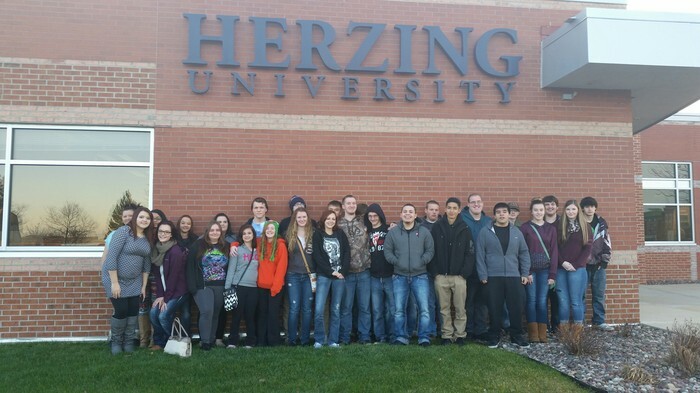 ALC students experienced college and career opportunities through the Taste of Technology Event at Herzing University in Madison. Students participated in a variety of mini-workshops including hands-on activities in Information Technology, Gaming Careers, learning how to code in Software Development and were also able to test Herzing student-created games. Liberty Bowl Here We Come!!!! The WHS Marching Band is headed to Memphis, TN December 29th through January 3rd. 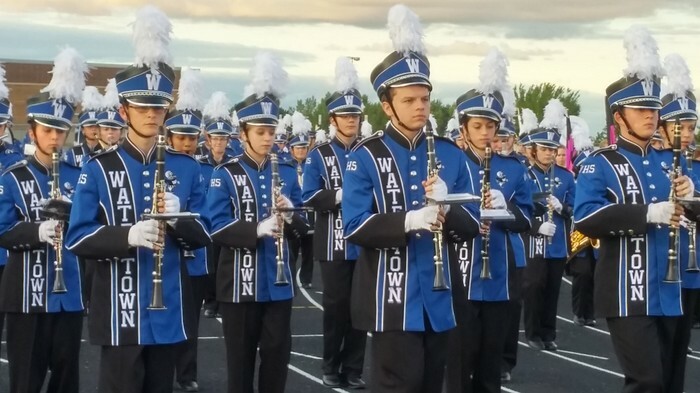 WHS is among twelve other schools from across the country who will perform in the Liberty Bowl Parade Competition, a Concert Band Festival, and as part of a Massed Band at halftime of the Liberty Bowl Game. Students will also visit Graceland, the National Civil Rights Museum, and the Peabody Hotel to watch the Duck March. Students will enjoy experiencing life outside of our city and state while eating some delicious BBQ, attending a professional rodeo, and making a stop at the world famous Jerry’s Sno Cones. 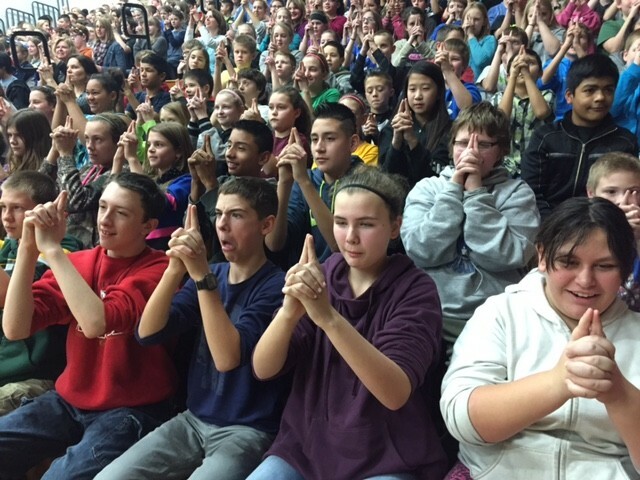 RMS students and staff enjoyed listening and working with a hypnotist during an all school assembly last week. 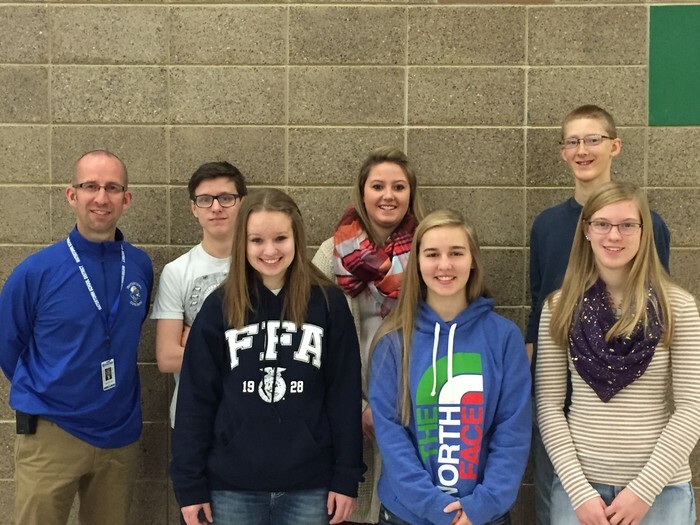 Congratulations to the following students for being selected as November Students of the Month and for their significant accomplishments: Olivia Higgins - English Department, Austin Wilson - Math Department, Dannielle Konz - Social Studies Department, Autumn Brusenbach - Science Department, Nate Checots - Art Department, Solomon Vana - Music Department, Morelia Hernandez - Foreign Language Department, Brittany Rennhack - Vocational Education Department, Angela Ortega - Physic...al Education Department, and Kaitlyn Birkholz - Student Services Department. Staff are still feeling very anxious about the compensation study. As you know, the Union has encouraged staff to write letters to the Board to identify their personal struggles under the current and proposed plan. We will be meeting with the design team on January 5th and January 12th. We will be meeting with the full staff on January 13th to present the new plan. Board members are welcome to attend this meeting to hear staff concerns and questions. On January 6th we will have the Special Board meeting to take a look at the financial model. The administration has been working with MRA and finalizing the numbers, and we are looking forward to sharing that information with the Board on the 6th. If you have any questions or concerns regarding the compensation model, please connect with me, and I will be happy to meet with you and/or share any additional information that I can. Your time and energy in making sure we are moving forward with the right plan that will help the District attract and retain quality staff, be fiscally responsible, and help transition into a compensation model that values our strongest staff is much appreciated. Thank you for your dedication and work on this important matter. A reminder that we will go into closed session at 5:30 p.m. prior to the December Board Meeting for the purpose of my quarterly evaluation. As always I look forward to this opportunity to hear your thoughts and feedback so that I can continue to refine my work for the District. If you have any questions that I should consider before our meeting, please let me know. At our last Policy Review meeting, Mary Hubacher presented to the committee statutes, regulations and case law regarding transgender and gender nonconforming students as a part of the committee's discussion on the Equal Educational Opportunities policy and the recommended revisions to this policy to address discrimination regarding gender identity. After our discussion, the committee recommended the revised Equal Educational Opportunities policy for a first reading. However, one of the committee members has since the conclusion of that meeting had some additional questions and concerns about the policy. He would like to table the policy and bring it back to the Policy Review Committee for further discussion. He plans to make a motion to that effect at the Board meeting on Monday night. Please let me know if you have any questions or concerns regarding this policy. WASB School Board Convention is rapidly approaching - January 19 through the 22nd. I am excited that we have many Board members planning to attend for part or all of the convention. You are all welcome to attend evening engagements as well - even if you are not able to attend during the day. This is a great opportunity for the Board to learn together, and the Board also has some opportunities to socialize during these days and evenings. On Tuesday, January 19th, the Board will get together for dinner with Mary Hubacher. On Wednesday, January 20th, the Board is invited to attend the Baird reception at the Harley Davidson Museum, and on Thursday, January 21st, Buelow Vetter will be hosting a school law program and reception at the Hilton that we will also have the opportunity to attend. Jody will be coordinating these events as we get closer to convention. It has come to my attention that Good Shepherd plans to apply for the state voucher program - applications are due to the state on January 10th. I do not know of any other parochial schools planning to apply at this time, but it is certainly possible that others are planning to apply. Should these schools be accepted into the program, and there is no reason to believe that they would not be, we should anticipate a fiscal impact on the District. Each child formerly educated in the WUSD who is accepted into a voucher school in grades K-8 would take $7,214 dollars in funding from the WUSD to the voucher school. This is more than we currently pay for those students who are open enrolling out of the District at the rate of $6,639 per child. It is my expectation that once one of our parochial schools has become a voucher school, we should anticipate that others will follow suit. Again we will need to plan for the financial impact of this on the District. I have attached a few links below discussing vouchers and voucher impact. If you have any questions, please let me know. After nearly 14 years, No Child Left Behind (NCLB) is no longer law. It was replaced last week with the Every Student Succeeds Act (ESSA). This seventh authorization of Elementary and Secondary Education Act (ESEA) removes many of the federal mandates introduced by NCLB. States must now create their own accountability systems to go into effect in the 2017-2018 school year. More information regarding the differences between NCLB and ESSA may be found on the DPI website https://dpi.wi.gov/news/dpi-connected/esea-reauthorization-framework. We will continue to review this new law and share the implications for Wisconsin and the WUSD. Assembly Bill 481 http://docs.legis.wisconsin.gov/2015/related/proposals/ab481.pdf went to hearing on Thursday, December 18. This bill relates to school referenda and places restrictions on school district referenda ballot dates and implements a two-year waiting period following failed referenda. I communicated with the Assembly Education Committee that on behalf of the WUSD, I am opposed to this bill. It takes away local control from school districts and voters. This bill is extremely restrictive and inflexible for school boards, and with limited revenue creates another hurdle for school districts in terms of accessing resources. Please let me know if you have any additional questions or concerns regarding this bill. We will be having separate meetings next month for HR and Fiscal, but we will use the Fiscal meeting to follow up on the healthcare conversations that we have been having the last few months. Willis will be attending and facilitating discussion with the Board key take aways from the last two meetings as well as next steps. Please let me know if you have any thoughts or questions on this meeting and/or next steps on healthcare. Also please let me know if you have any specific requests for Willis for their presentation. Any Board member with an interest in health care options is encouraged to attend the Fiscal meeting on the 27th. We are growing!!! We have over 1700 readers . . . click here and "Like Us" on Facebook )!!! !